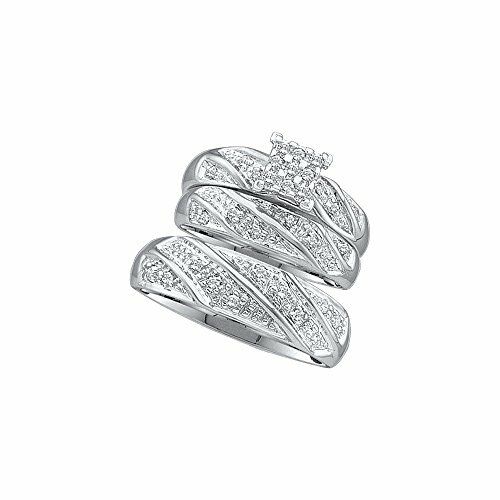 10k White Gold Diamond Cluster Womens Mens Matching Trio Wedding Engagement Bridal Ring Set 1/4 Cttw. _Combined diamond weight of 1/4 carats total weight represents a range of 0.23 - 0.29 cts. t.w. Choose women's size above. Men's size 10 included standard. Email or message us for specific size request for his band.